If you're looking for a vape juice that packs a punch of fruity flavor then look no farther then Iced Pucker Punch by Twist E-Liquids. Pineapple, berries, citrus, and other tropical flavors will make your mouth water and the icy kick on the exhale makes every hit a refreshing one. Savor the icy fruit flavor and the way the nic salt offers an extra level of smooth satisfaction. 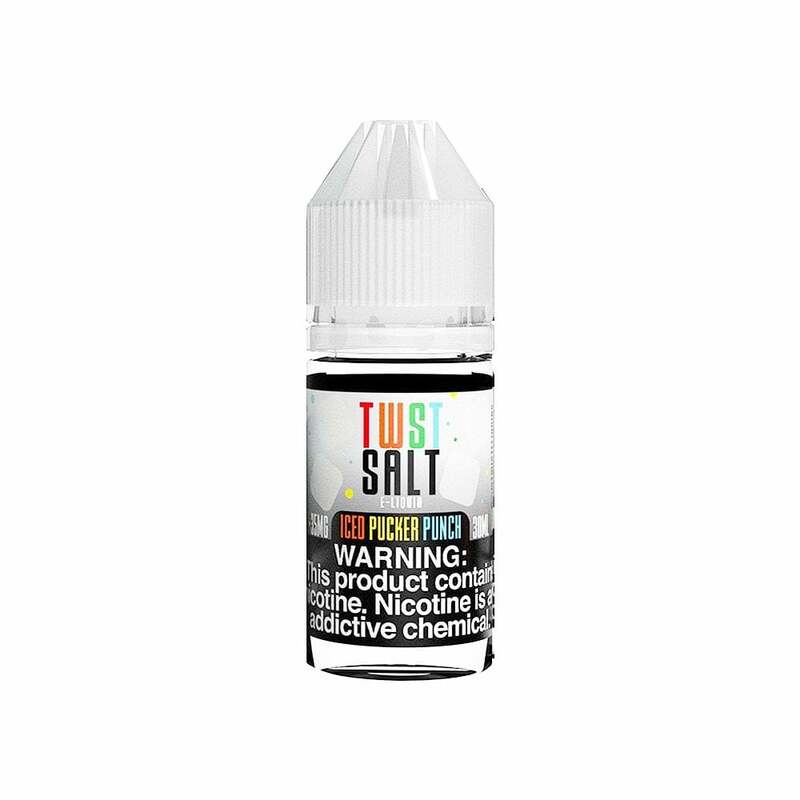 Twist E-Liquids Iced Pucker Punch Nic Salt is available in 50mg (5.0% nicotine) and 35mg (3.5% nicotine) and is compatible with your favorite pod mod.